I’m very pleased to welcome Emma Cooper as my author in the spotlight today. 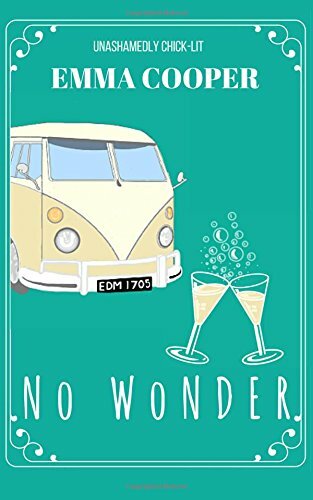 Her book No Wonder was published on 24th November 2015. You can order a copy here: No Wonder Incidentally, that lovely cover was designed by her 14 year old daughter, Ally. Isn’t it fabulous? Hi Joanne, thanks for having me on your blog, it’s an absolute pleasure to be your guest. Lovely to have you. First of all, would you tell me a little about yourself? I’m 39 years old, a mother of four and I have a dream. Oh blimey, that makes me sound like a politician! I’m nothing like a politician although I do talk with my hands a lot and digress while I’m talking about one subject … is the collective noun for politicians a pomposity? Or is that professors? Anyway, back to me … I’m lucky enough to have a job that I love. I’m a teaching assistant at my local junior school where I have the privilege of helping some amazing children. Seeing them find that little light bulb moment where they understand something for the first time is simply one of the best experiences you can have in your day job. Of course there are days where I clear up sick and go home covered in glitter and glue which are not quite as fulfilling! As much as I love this, my dream has always been to be a writer- a lie! It’s a lie of politicians. Sorry, where was I? Simply put, reading. I have always loved to read, I’m one of those people who walk into a book shop and inhale, mind you I suppose everyone does that to a certain extent or there would be a lot of book shop related deaths! I’ve always loved all types of genres but women’s fiction is where my heart lies. I remember finishing one particular novel and feeling a little deflated. Not because of the novel itself but because it was set in city (where as I rarely visit one) and at one point in the main character was getting in a flap because the house was too untidy for the arrival of her cleaner. As a working class woman who shops in Aldi, I found that the main character had no resonance with me and so I decided to write one myself. I’m so glad I did, although the waistband of my jeans may disagree… I’ve finished chapter one! Pizza to celebrate? Yay! I’ve reached the end of chapter two … chocolate cake anyone? No Wonder is a story about Lucy Butcher, a woman who bumbles (fumbles?) from one mistake to the next. It was my intention that the reader would fall in love with – not just the male leads – but with Lucy herself and from the amazing feedback I’ve received, it appears I have achieved this. I think that most women (or men for that matter) at some point in their lives, get fed up with the day to day monotony of life. You could have the most amazing family, fantastic job and gorgeous partner or husband and still groan when the Thursday morning alarm goes off and think ‘…is this it?’ No Wonder is a play on those feelings – no wonder in her life and no wonder that her husband … well you’ll have to read it to find out that part! Pizza, wine … latest season of the walking dead! I do and I’m so very excited about it. It’s called Accidental Timing and it’s a lot darker than ‘No Wonder’ but still maintains the comedy aspect. The protagonist is called Melody King and she has a very quirky condition that manifests itself when she becomes stressed. I’m half way through at the moment and the first draft should be ready by the end of spring. Favourite book… hmm, The Gift by Cecelia Ahern. I read this every Christmas. It is one of my favourite books and I cry every time I read it! I’m a real sucker for a sad but poignant ending and it’s so magical. Reading it has become one of my Christmas traditions that I’ve passed onto my teenage daughter, along with watching the Scrooged every Christmas Eve night and falling asleep halfway through. I’m reading Helen Fielding’s ‘Mad about the boy’ at the moment but I’m desperate to start the sequel to ‘Me before you’ by Jojo Moyes but I’m waiting for the price to drop a little unless somebody wants to send me a free copy? Anyone? As you can imagine, with four kids – five I suppose if you count Russell my partner, six if you count my son’s girlfriend – I lead a very busy, noisy life, so my favourite time to read is first thing in the morning. I quite often get up at about half five, sneak downstairs (avoiding creaky step number four) make a cup of tea and creep back to bed with my kindle. I used to read in the bath but several books have met their watery grave that way, which reminds me I never finished ‘The Curious Incident of the Dog in the Night-Time,’ I’ll stick it on my goodreads list… Sorry, told you I get distracted a lot. 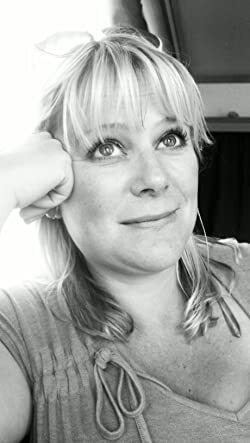 I am on twitter @ItsEmmaCooper and Facebook Emma Cooper Author – sometimes when I’m cooking the dinner or putting the washing on, so my tweets may sometimes sound a bit strange! I love to hear from other readers so please don’t be shy! I’ve thought long and hard about this question and I keep returning to a character that I read in a novel many, many years ago called ‘Love, honour and betray,’ by Elizabeth Kary, an American author. It’s an epic story set in colonial America, the main character is a passionate, independent woman called Charlotte Beckwith and the hero (I say with an apologetic quiver) is Seth, who isn’t the Mr Darcy type to say the least. I’ve read this book three times over the years and even as I’m cringing slightly with embarrassment to be choosing this, I love the dynamics between the two characters. It’s a bit of a bodice ripper if I’m honest but then again, who doesn’t mind a bit of bodice ripping once in a while?